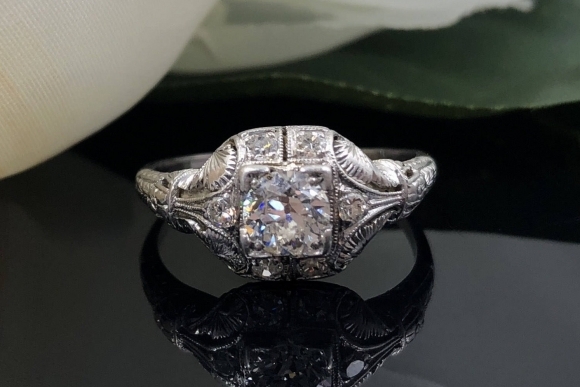 Set with a half carat Old European cut genuine antique diamond, this antique Art Deco Edwardian platinum ring will take her breath away! 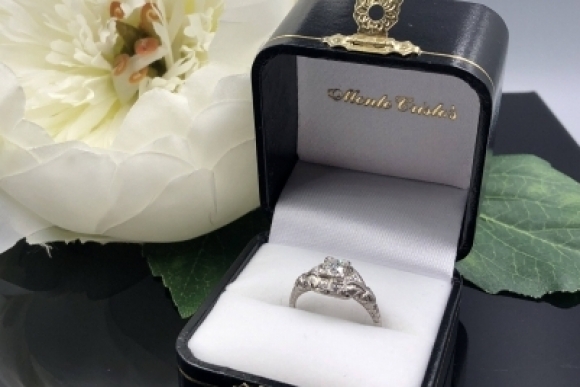 The ornate gallery lifts, and frames the diamond and is accented with six single cut round diamonds. 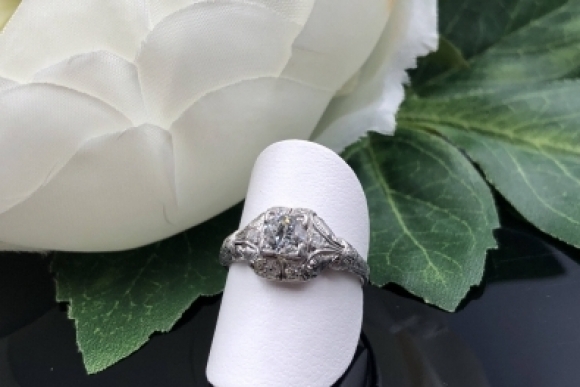 The center diamond measures 4.9mm - 5.0mm x 3.0mm, and has a clarity grade of VS2 and a color grade of G, a very good quality for an antique diamond. 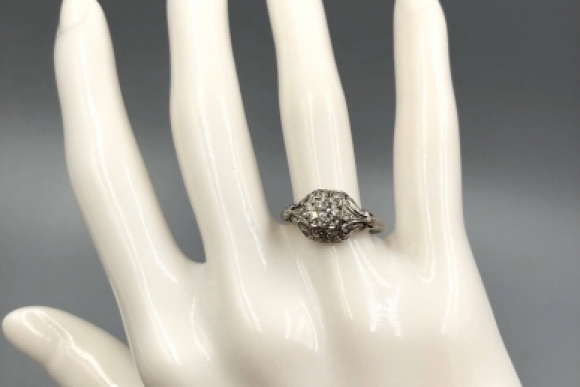 The total diamond weight of the ring is approximately .58 carat. 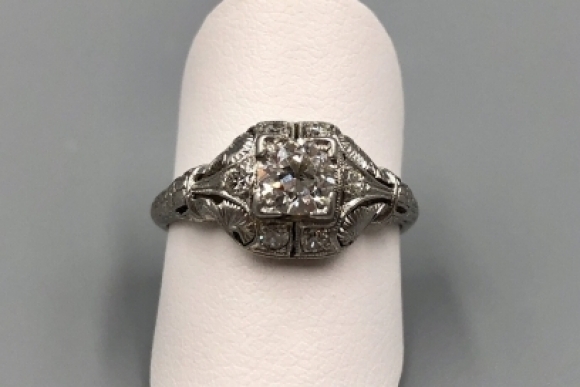 This Art Deco Edwardian ring is rich in detail, and is beautiful in every direction. The diamond scintillates with light and fire with every movement of the hand! 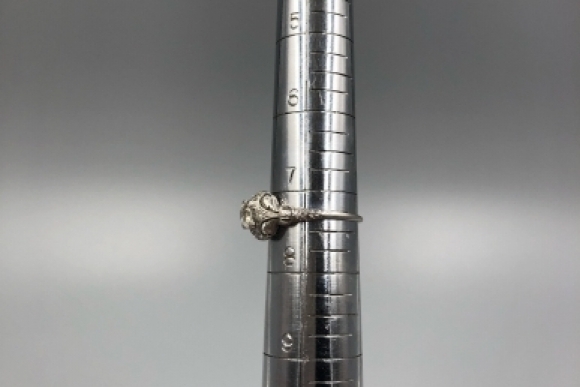 The inside of the ring shank is stamped 10% Irid Platinum. 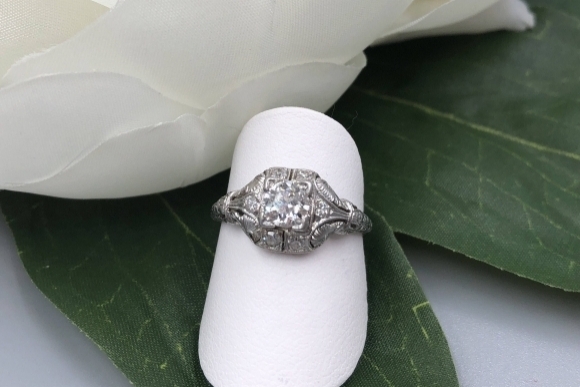 Thoroughly cleaned and checked, this ring is ready to give a lifetime of pleasure. 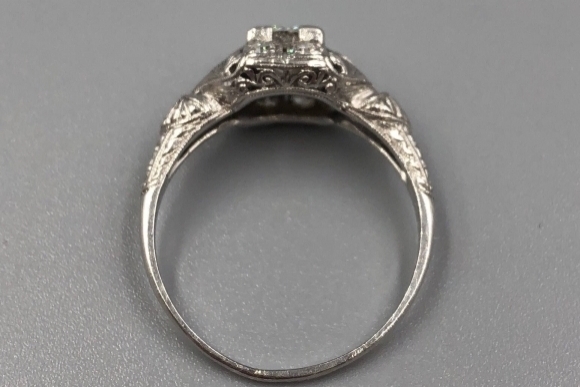 The ring is a size 7 1/4, and weighs 3.0 grams. Sizing for a perfect fit is complimentary. 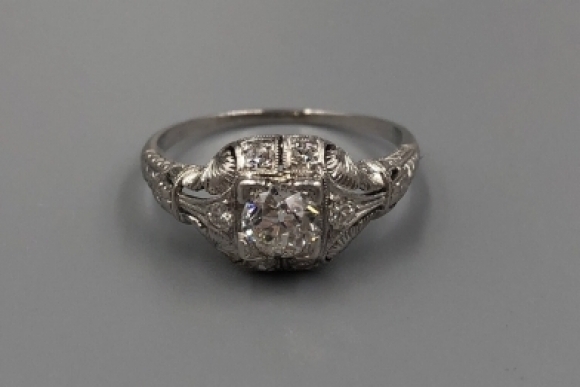 Circa late 1910s to early 1920s. 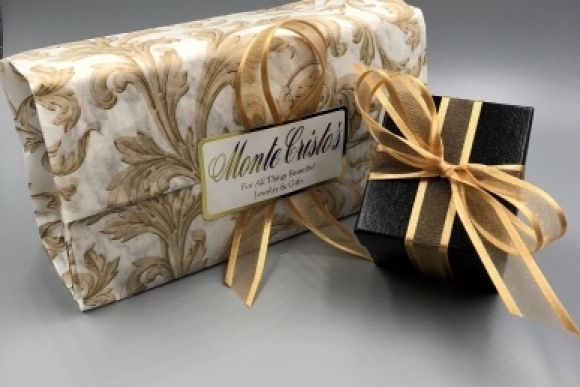 Upon purchase, your piece is carefully and securely packaged in a gift box, and tied with a gold ribbon. Presented with the care and attention to detail that gift giving deserves.